YES THEY DO!!! 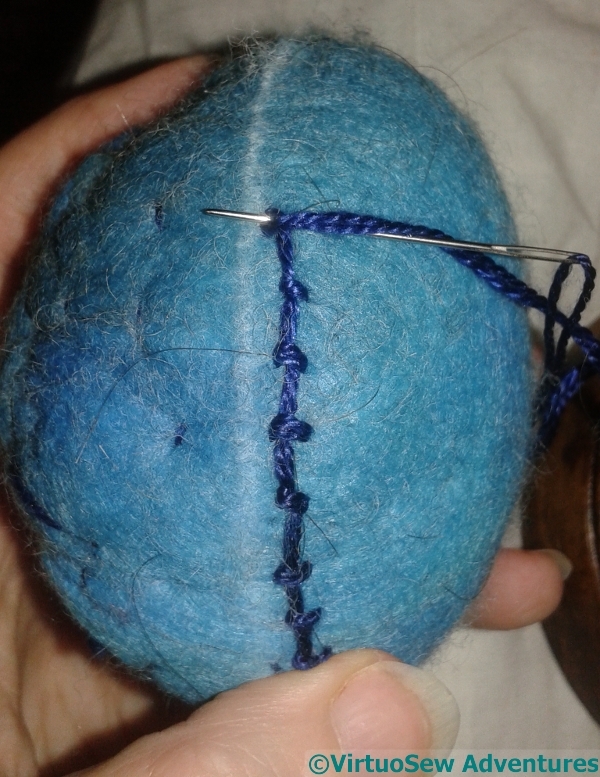 I love this little pin cushion. The wooden base is perfect. I really love the scissors keeper — a beautiful home for a beautiful ‘tool of the trade’. You taught me something new today 🙂 I never heard of Lucet and googled it. It looks like a very interesting technique. A very good use for a pot – yes, far too nice to throw away. You will be using those tools with pride. The cord is beautifully even. What a delicious pin cushion. 🙂 Recycling at its finest–from the mundane to art! 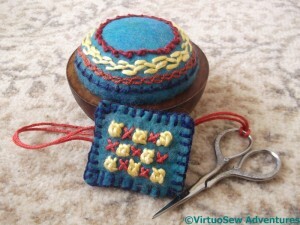 What an imaginative piece of recycling for the pincushion, and I love your little scissors keeper. love your transformation. amazing that it’s wood. just beautiful. 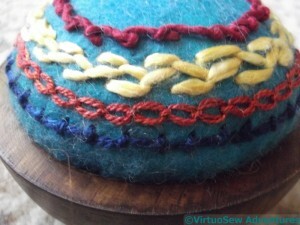 lovely embroidery accessories!! It’s great to have a diversion…. They do indeed! Lovely work, and the scissors keeper is so cute. I am impressed that anything comes in a wooden pot these days! Brilliant recycling – I love anything using wood: my “thread catcher” is a little wooden bowl! Aren’t lucets lovely to use too. That really IS a nice container! I’m envious. The pincushion is delightful. I’ve not thought about embellishing my wooly one, but after seeing this, I might! Wow what a wonderful creative project from start to finish. I love how you transformed that wooden pot. It most certainly would be a shame to just throw them away. Your pincushion and scissor keep are very pretty. 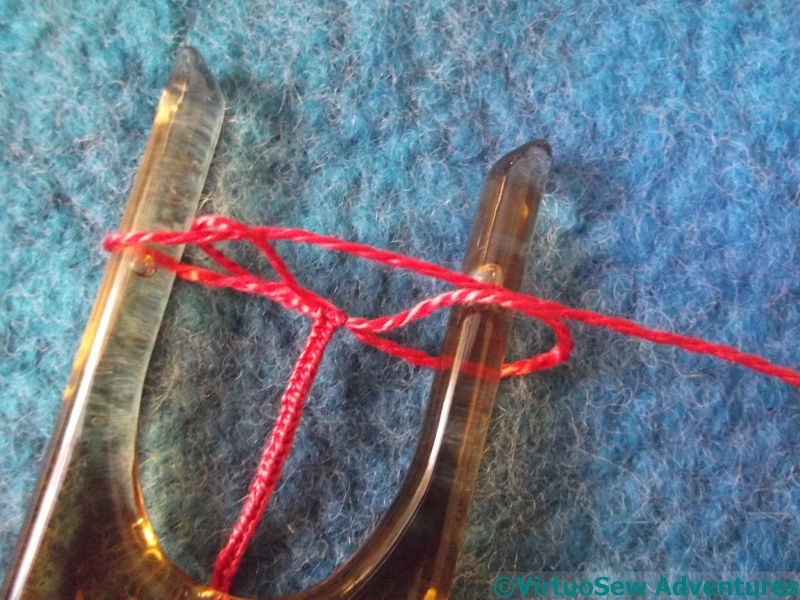 A great little piece and I have to say I love making cords with my Lucet. 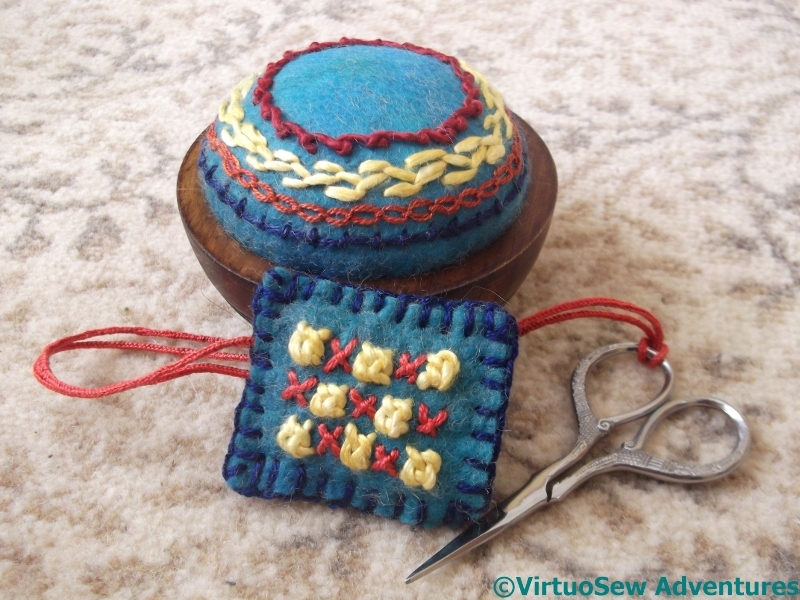 Both the pin cushion and the scissor keep turned out so pretty! You might want to take a few more of those off your parent’s hands. They would make lovely gifts that would be sure to be cherished.